Mr. Real Estate Developer who had a project that he needed to get funded. The lender was requiring insurance to be in place on the borrower. In hopes of closing the deal by the end of the month Mr. Real Estate Developer’s agent called Petersen International Underwriters on a Thursday afternoon looking for help. 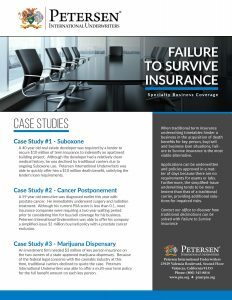 Jumping into action, Petersen International Underwriters quoted $5,000,000 of coverage using our Business Loan Failure to Survive Plan. 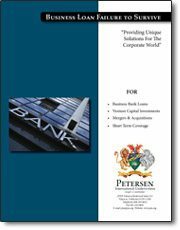 The only underwriting requirements were a one page application and a copy of the loan documents. 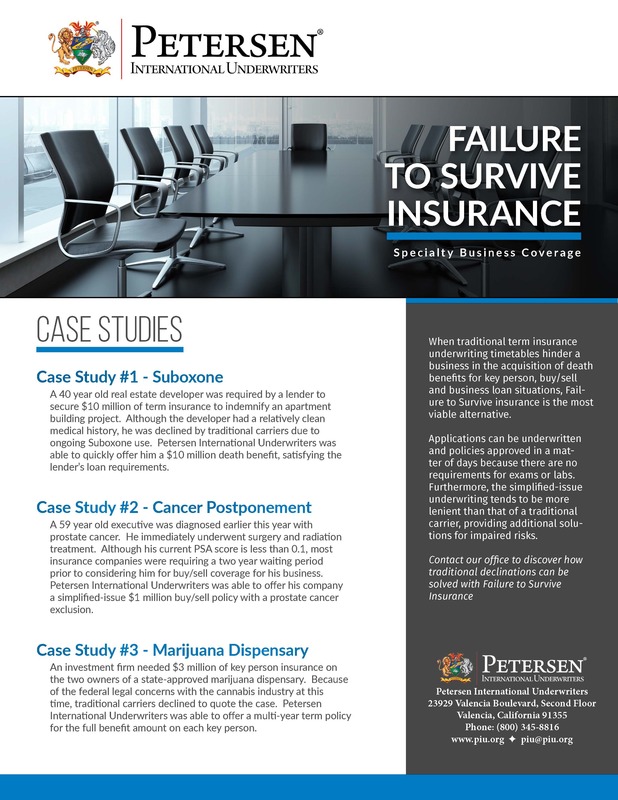 Receiving this information on Friday morning, Petersen International Underwriters was able to underwrite and bind the coverage that same day. By emailing the agent a copy of the declaration page to provide the bank with proof of coverage, the lender was then able to fund the loan that same day.